Islamabad (September 14, 2018): Prime Minister Imran Khan will inaugurate two new trains Rawalpindi Express and Mianwali Rail Car today. Rawalpindi Express, with total capacity of 685 passengers, will leave simultaneously from Lahore and Rawalpindi station at eight tonight. Passengers will get fifty percent concession in fares on the first day on both trains. Online booking facility is also available to public to book their seats from home. 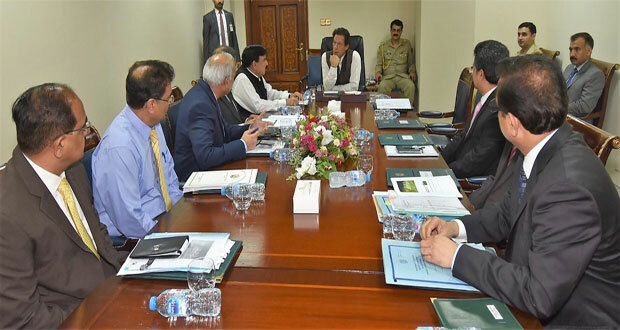 Earlier on September 13, Prime Minister Imran Khan directed Pakistan Railways to submit a comprehensive plan for launching anti-encroachment drive and future utilization of railways land for generating revenues within fifteen days. He was chairing a briefing on Ministry of Railways in Islamabad. Railways Minister Sheikh Rashid Ahmed and other senior officials of the ministry were also present at the briefing. 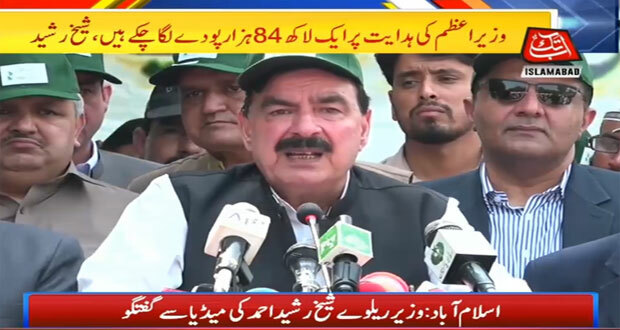 Earlier, Sheikh Rashid Ahmad said that deficit of Pakistan Railways will be eliminated in one year. Talking to the media persons in Rawalpindi, he pointed out that Railways is currently facing the annual deficit of forty to forty-two billion rupees. The Federal Minister said that the network of Pakistan Railways will also be expanded to the backward areas of the country in order to provide the people there with better travelling facilities. 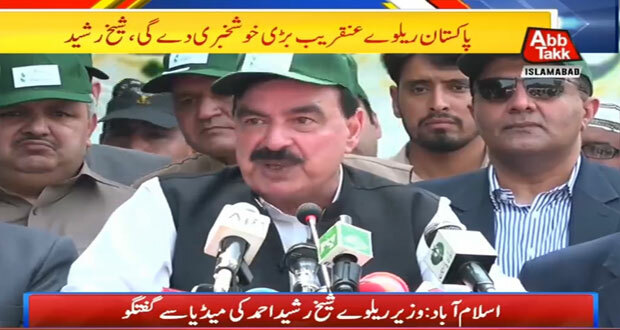 Sheikh Rashid said that proposals will be submitted with the prime minister for bringing improvement in the railways. He said most of the trains of Railways require upgradation. The Minister said we are pursuing the zero-tolerance policy against corruption. He assured the dwellers of Katchi abadis on the railway land will not be disturbed. Will advise Prime Minister to release ordinance regarding evacuation of the Railways land, the minister added. Earlier on September 07, Sheikh Rasheed said that Railways will soon be developed as a modern organization offering facilities to everyone. While talking to the newsmen after inaugurating a plant nursery at Margalla Railway Station Islamabad. The Minister said a modern tracking system will be introduced in Railways and distance between Lahore and Rawalpindi will be reduced up to three and a half hours. He said passenger trains will also be plied on branch lines of Railways as well. 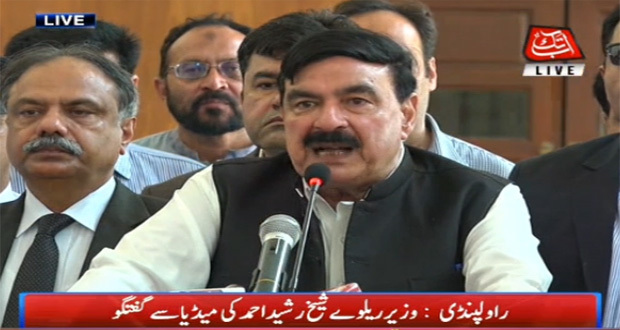 Sheikh Rasheed Ahmed said Railways will have a key role in the success of CPEC and full cooperation will be sought from China to improve the condition of Railways. The Minister said four nurseries each are being developed at all divisional headquarters of Railways and trees will also be planted on both sides of railway tracks.